I am an artist, a maker and a teacher in digital, physical and motion media. 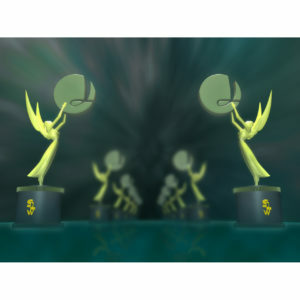 Patterned after the Emmy Awards statue, the Southern LINC awards graphic showcases the company logo held in the hands of statuettes at either end and diminishing with perspective into the distance. The additional blur allows for optional text or additional logo elements to display award names and winners. Book design and layout in Adobe Photoshop for financial services company running internal marketing for a book drive. 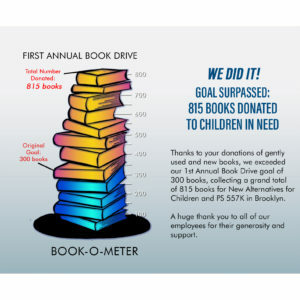 The project called for a hollow graphic indicating total number of books donated and the degree to which the original goal had been surpassed. 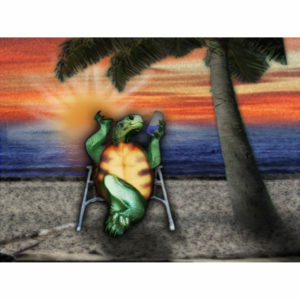 An incentive trip logo created on-site for an annual client conference, the turtle and beach elements combine real world elements in a fun and crazy yet familiar scenario. 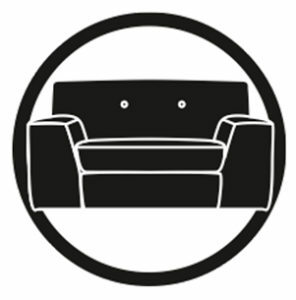 Tom Farnan, the face of Velvet Tom, found his voice and unique comedy style after buying a red smoking jacket at a secondhand store, prompting the creation of a washed up lounge lizard. 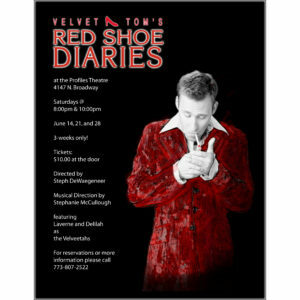 Sometimes in print, full color is a waste and the addition of a tasteful second color is all you need. Digital brush strokes add to the sense of age and wear. 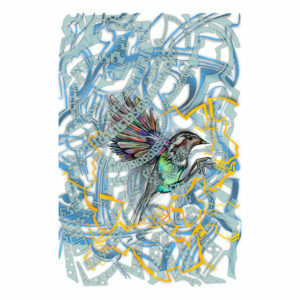 This graphic was created in Procreate on the iPad using the Apple Pencil and combines an intertwined organic graphic with a brightly colored realistic digital painting of a bird. Digital subtraction enabled musical notes to be embedded directly into the multicolored ribboning, which exists in two layers above the bird model and one below.